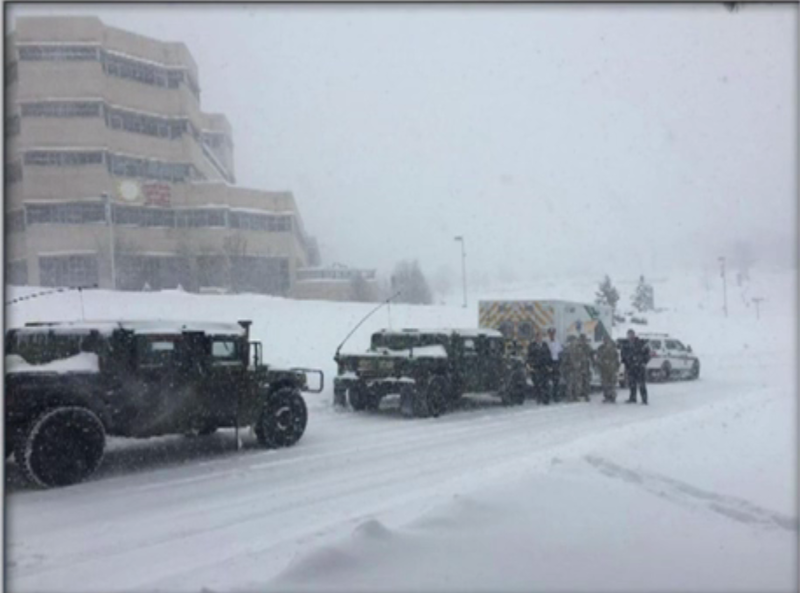 HARRISBURG -- A 23-month-old in need of a heart transplant was escorted by snowplows and state police troopers through a heavy snowstorm from one hospital to another in northeastern Pennsylvania during a monster storm that slammed the Northeast on Tuesday. Gov. Tom Wolf said the Tuesday afternoon trip was made between hospitals some 80 miles apart. The storm dropped more than 20 inches of snow and sleet in parts of eastern Pennsylvania. The governor says the child made the trip safely, CBS Philadelphia reports. National Weather Service storm warnings last into Tuesday night across eastern Pennsylvania. There have been no major road closures, but state officials say travel conditions remain treacherous, with winds picking up and temperatures dropping. Power outages were scattered, while more than 500 flights combined were canceled at Philadelphia and Pittsburgh international airports. Speed limits were reduced to 45 mph on many interstates and expressways in eastern Pennsylvania. I-84 was closed to trucks and empty trailers, while towed trailers, buses, RVs and motorcycles were banned from roadways with speed restrictions.